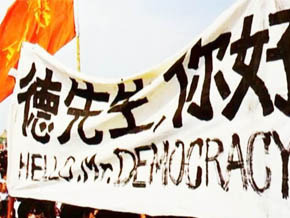 In 1989, Chinese students demonstrated in Tiananmen Square in Beijing to claim more rights and freedom of expression. On June 3rd, the government decided to quell the insurrection and violence broke out as tanks and soldiers entered the city and charged protesters. Hundreds were coldly executed and a manhunt ensued to find the leaders of the movement who had escaped the slaughter. They became China’s “most wanted” public enemies. A list of 21 names was published and their photos were posted on every corner around the country. Some had managed to escape and the CIA was reputed to have organized their exfiltration. This investigative film returns 27 years after the Tiananmen massacre, to interview some of the principal actors of the exfiltration. They reveal for the first time in front of a camera, the unknown story behind the CIA’s implication in Operation Yellow Bird. An unprecedented story that still testifies today to the harshness of the Chinese regime.